Derbyshire quick Hardus Viljoen is part of a fierce pace bowling unit which has taken 47 wickets in the Vitality Blast so far this summer. The highly experienced attack have bowled the Falcons to victory on a number of occasions in this summer’s most explosive competition, most recently in the 16-run win over Birmingham Bears last Friday. 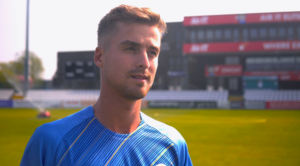 Viljoen himself claimed 2-12 in a man of the match performance that saw Derbyshire restrict the visitors to just 127-9 at The 3aaa County Ground, but he was quick to praise his fellow bowlers. Derbyshire are back in Vitality Blast action tomorrow night in Derby, with a chance to make it six wins from the last seven matches. He said: “In T20 you get your days when the bowlers are the villains almost so if it’s your day you just need to run with it and make the best out of it. “It was a complete bowling performance, a perfect effort by all the bowlers and a combined one that gave me the opportunity to put guys under pressure as well. “If you believe you can bowl teams out you can win games. We had no other choice, we had to attack and take wickets because that was going to win us the game and everybody stuck to their own skills. The Falcons are back in contention of reaching a quarter-final place after losing their first four Blast games and Viljoen stressed the importance of continued belief in the squad. 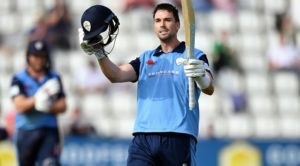 With four games left to play and Derbyshire currently fifth in the North Group on ten points, the South Africa quick wants the Falcons to peak at the right time. The 29-year-old added: “As a side you need to keep on believing. T20 is a funny game, I’ve seen teams that have lost six in a row and then win the next eight to get in the play-offs. It’s one of those games where you need to peak at the right time. “If you peak too early, and you don’t get it right at the back end you fall behind when teams are at their best. It can also take time to find the right balance and we found that balance when we started winning games and we stuck to the formulae. Vitality Blast is back! 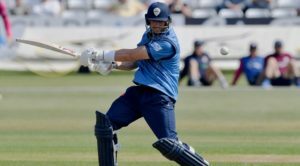 Derbyshire Falcons are back at home on Wednesday 8 August against Northants Steelbacks. Purchase your tickets in advance and save from £4. Buy online or call 01332 388 101.